As a Boston based beer writer I receive regular messages from people who are planning a visit from out-of-town and want brewery recommendations. Inevitably the messages include the words “obviously I’m going to Trillium, but where else should I visit?”. It is amazing that in just a little over 5 years of operation Trillium has grown from the small start-up selling growlers out of a taproom in the Fort Point neighborhood of Boston’s seaport district into the must-visit brewery in metro Boston. 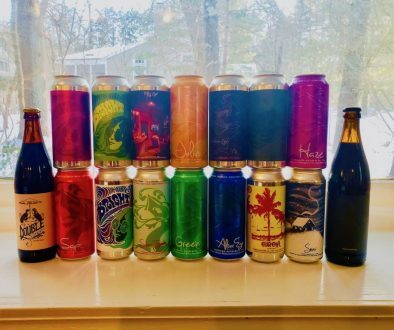 It is the same story in beer trading circles where hop-bomb IPAs are king, everyone from out-of-state is looking for the flavorful and aromatic hoppy beers that have built the Trillium brand. Traveling to the brewery or trading online are probably the only way to try Trillium’s beers. 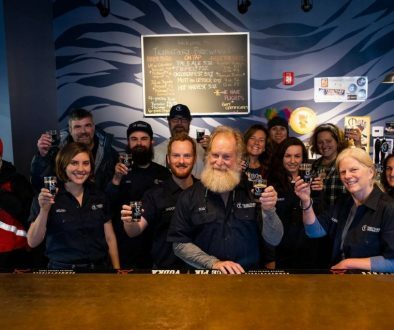 While they have expanded their network of draft accounts in the last year, nearly all of their packaged beer is sold directly to consumers out of their Boston and Canton breweries. Despite this, Trillium is the ninth largest brewery in Massachusetts based on production (link https://massbrewbros.com/the-25-largest-breweries-in-massachusetts-based-on-production/), making more beer than a number of regional powerhouses with a significant distribution footprint. So what is it about Trillium that still draws lines around the block for a new beer release? Trillium is so strongly associated with the New England style IPA it’s easy to forget that they launched with their namesake saison as a flagship beer. Soon after, they introduced two beers that changed the local and national beer landscape, Fort Point Pale Ale and Congress Street IPA. Trillium didn’t invent the NEIPA, these beers borrowed from work done by Vermont standouts The Alchemist and Hill Farmstead, but their beers were a revelation to many. The first thing you notice from a hoppy Trillium beer is the appearance, not just a little hazy but murky and opaque, nothing like the crystal clear West Coast style IPAs that dominated the market for many years. The deep haze is the result of adding copious amounts of hops to the beer at the end of the brewing process and during active fermentation, and this process leads to fresh beer with an amazing aroma and loads of hop flavor but low bitterness. The small brewery in Fort Point quickly had lines forming around the block every day for growler fills and 22 oz bombers of their growing stable of IPAs and pale ales. 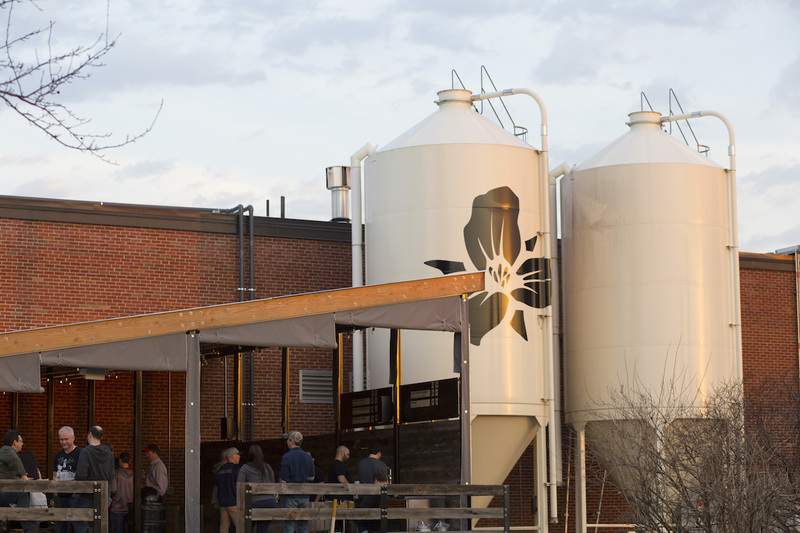 Many breweries that gain some amount of local buzz immediately set their eye on massive expansion towards distribution, but Trillium has stayed the course with a deliberate and careful growth plan that focuses on direct-to-consumer sales. 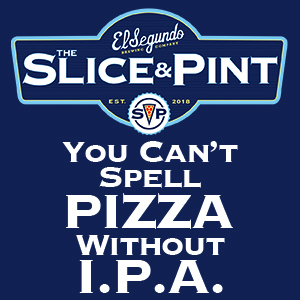 This is especially important for NEIPAs, the beers degrade quickly if they aren’t consumed fresh and stored cold, so direct sales insure that every customer purchases beer that is at peak quality. Even with this slow growth model the brewery has expanded significantly. In late 2015, they hey opened a second brewery in Canton (a suburb southwest of Boston). The Canton facility allowed for massive production growth that would have been impossible in the city, where space is at a premium. This scale allows Trillium to keep a wide range of beers available without worrying about anything sitting around past its peak. That’s not to say that lines don’t still form, when Trillium announces a release of any new, rare, barrel-aged or collaboration beer you can count on big crowds at both breweries. 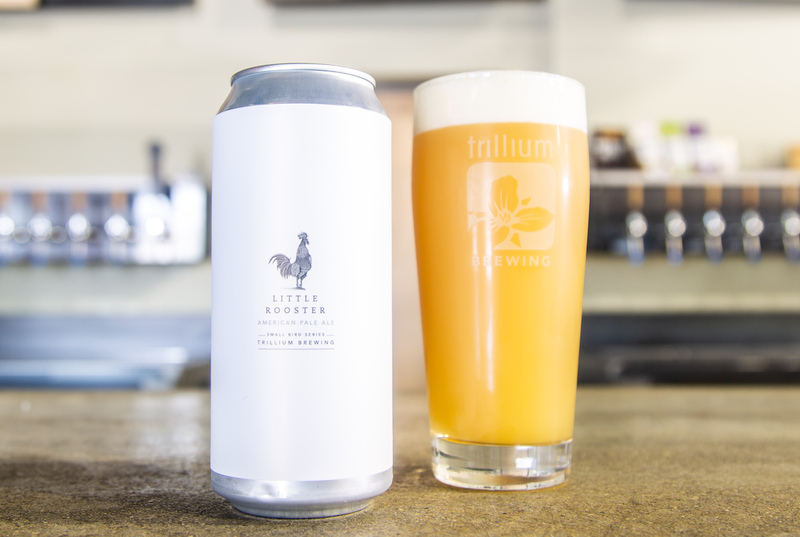 While the NEIPA style has been a major contributor to Trillium’s success, it is their ability to make flavorful beers in a wide range of styles that sets them apart. Trillium makes a diverse portfolio of beers from stouts and porters to Belgian styles to sour and wild ales. Too many breweries that find success with hoppy styles eschew other beer styles or make them as an afterthought, and some brewers don’t have the range to make quality beers outside of the style they do best. I am not in the camp that believes NEIPA is a “fad”, I think the substyle will stay popular for a long time, but having the ability to make top notch beers with diverse flavor profiles will ensure that a brewery can adjust to changes in the marketplace. Trillium’s rise hasn’t been without issue, they have faced multiple challenges in their five years. In late 2014 they had to close for a month after failing to renew their license with the state. Problems like this can sink a small brewery, but their fans turned out en masse when the brewery re-opened and they haven’t looked back. More recently there has been some outrage at the prices of some of Trillium’s beers, with some releases breaking the $22 mark for a four pack of 16 oz cans. While people mutter about this online it definitely hasn’t impacted sales, the high priced special releases still sell out in a matter of days. There are also online grumblings about a decline in overall quality as the brewery expanded, but I discount these (and haven’t noticed any change myself). These accusations are inevitable with growth, and usually come from the same people who accuse their favorite band of selling out because they have a record deal and a song on the radio. The last year has seen a continued evolution for Trillium, and there are more exciting changes to come. Last summer they opened a seasonal beer garden in Boston that was so incredibly popular that they brought it back this year. This started a trend and now a multitude of other local breweries have followed suit. They also did a winter “beer garden” in Roslindale, and I would be shocked if that wasn’t renewed. Trillium also made headlines when they decided to change the fermentation profiles of their hop-forward beers. Changing recipes can be a risky move for beers that have gained such notoriety, but it also speaks to a constant drive towards perfection. 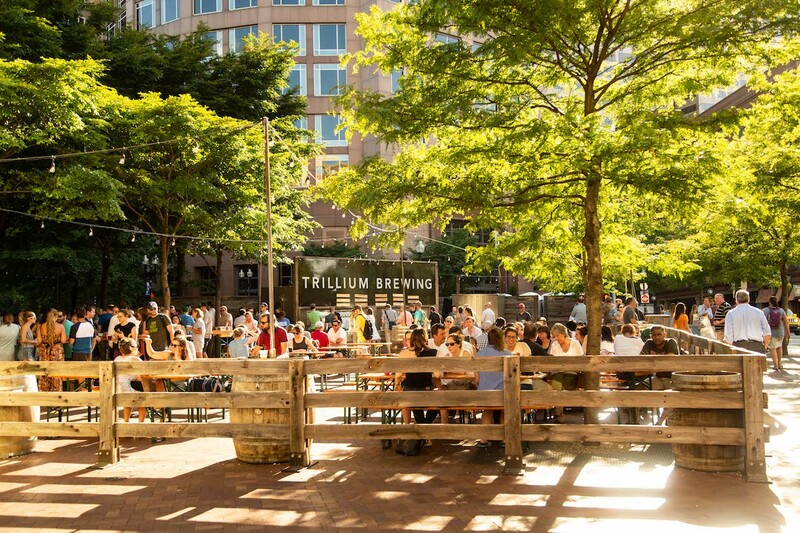 For fans who want to spend more time at the brewery, Trillium is planning on opening a new 2-story 16,000 square foot Fort point brewery with a full restaurant that should open by the end of the year. You can also expect several new special release and collaboration beers. There are also continued rumors about a potential destination farmhouse brewery in Connecticut, although details on this are still forthcoming. Regardless of the location and the style you can expect a wide range of high quality brews whenever and wherever you get a chance to visit Trillium. Fort Point Pale Ale: Still my favorite Trillium beer, Fort Point completely redefined the American pale ale style for me. Huge hop flavor and aroma but minimal bitterness, smooth and incredibly easy drinking. They brew a number of varieties, each with a different dry-hopping schedule. All are delicious. The Street IPA series: Each beer is named after a different street in Trillium’s original Fort Point neighborhood location, and each showcases a different hop variety. My personal favorites are Congress Street, brewed with Galaxy hops, and Melcher Street, which features Mosaic hops. Stonington: Trillium is known for their hoppy beers, but their wild and sour program is also stellar. Stonington is a wild ale brewed with yeast isolated from the Connecticut vineyard where the Trillium owners were married. The base beer is then aged in French Oak Chardonnay casks. Complex but still approachable. I’ve heard local beer geeks opine that Trillium could be a successful brewery entirely on their lineup of sour and wild ales, a huge complement for a brewery known for their hop-bombs. Night and Day: Many popular NEIPA breweries either bypass dark and malty styles altogether or make poor versions of stouts and porters. Trillium makes a variety of delicious dark beers highlighted by Night and Day, an imperial stout made with cold brewed coffee from Barrington Coffee Roasters. Big and boozy but still smooth with just the right amount of coffee flavor to complement but not overwhelm the rich roasted malts. Dialed In: Trillium has an incredible and very diverse collection of double IPAs, it’s hard to pick one as a favorite. Dialed In is a series of DIPAs where juice from a select varietal of wine grape is added in mid-fermentation, and a combination of hops is selected that accompanies the grape used. Each beer is incredibly complex and flavorful, one of the more unique takes on the NEDIPA style. Sunshower: I love the combination of expressive Belgian style yeast and fruity American hops, and this dry hopped super-saison showcases the intricate interplay of these flavors and aromas. Plus, the beer is named after a song by one of my all-time favorite singers, the late, great Chris Cornell.